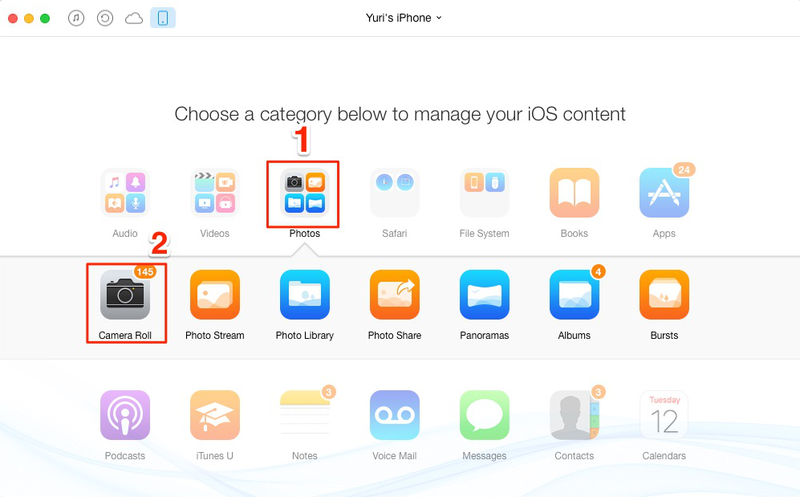 How to backup photos from iPad? iMobie AnyTrans is one of the most helpful tool to backup iPad photos to computer and other iDevice. 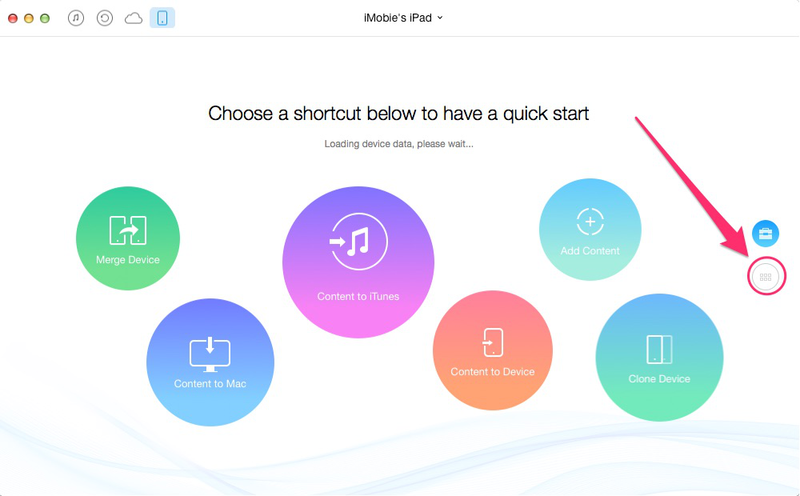 Free download AnyTrans firstly and then backup iPad photos to iCloud, computer or other iDevices after reading this guide about how to backup photos from iPad/iPad mini. With an iPad/iPad Mini, you can snap memorable moments, take screenshots, save images from App, Safari, Email, etc. With the photo collection grow, so does the desire to keep these photos safe. When it comes to backing up photos from iPad or iPad mini, normally people have 3 choices – backing up to iCloud server, computer or other iDevice. No matter where you tend to backup iPad photos to, this post will offer you detailed tutorials to teach you make it easily and quickly. On your iPad or iPad mini, tap on Settings > iCloud > Photos > Turn on My Photo Stream if it is closed. 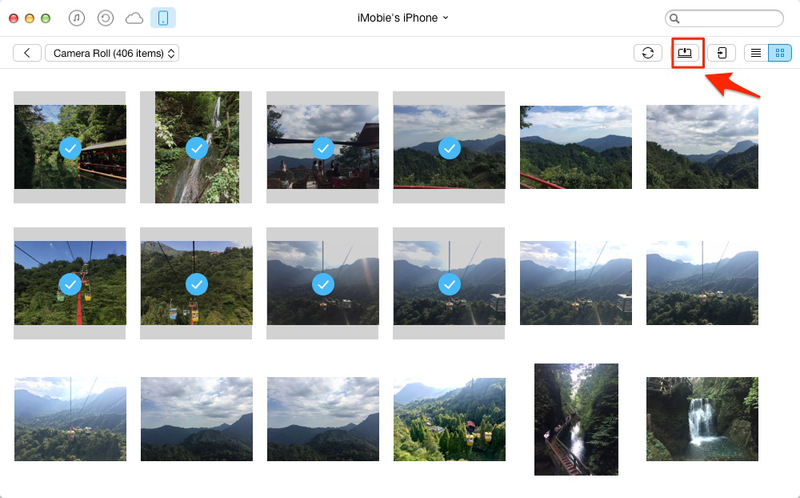 - iCloud only saves the last 1000 photos for 30 days. - If your iPad is working with iOS 7 or latter, once you delete some photo from Camera Roll, the corresponding photo will be deleted from Photo Stream automatically. If the photos on your iPhone is more than 1000, or you want to keep your photos for longer time instead of 30 days, you can read on this post to learn next method to backup photos from iPad or iPad mini to computer. Maybe you have known many ways to get photos from iPhone iPad to computer, while most of the methods you know only support transferring Camera Roll photos from iDevices to computer. If you want to backup all the photos from your iPad or iPad mini to computer, including Photo Stream, Photo Library and My Albums photos to computer, this post is what you are looking for. In this post we will offer you an easy and quick way to make it. Step 1: Install and launch AnyTrans on your computer > Connect your iPad or iPad mini to computer with a USB cable > Click Category icon to proceed. Step 2. Click Photos on the Homepage of AnyTrans > Select the type of photo album you want to backup (Camera Roll, Photo Stream, Photo Library, Photo Share, My Albums, Photo Video). Step 3. Preview the photos on your iPad and then click several or all photos you want backup > Click To Computer icon to complete this. 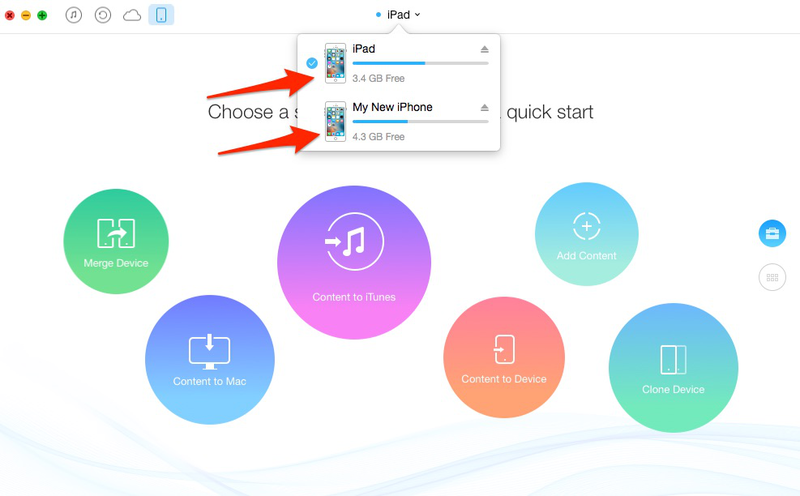 - Before backing up photos from iPad or iPad min to Mac or PC, you can set up the output folder for your iPad photos by clicking Setting icon on Homepage of AnyTrans. 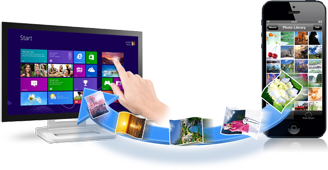 - This method is suit for both of Mac and PC users. And this tutorial also can be applied to backup photos from iPhone or iPod to computer. Step 1. Open AnyTrans and connect with both your iPad and new iDevice > Enter the manage page of your iPad that with Photos you want to transfer. Step 2. Click Photos > Select the type of photo album you want to transfer > Choose the photos you want to transfer > Click To Device button. - AnyTrans supports all the modes of iPhone, iPad and iPod. And it also can work well on Windows and Mac computer. No matter what device you want to backup iPad photos to, AnyTrans helps you make it in minutes. - When transferring pictures with AnyTrans, all the photos on your device, including Camera Roll, Photo Stream, Photo Library and My Album photos, all can be transferred. And you won't lose any existing photo during transferring.